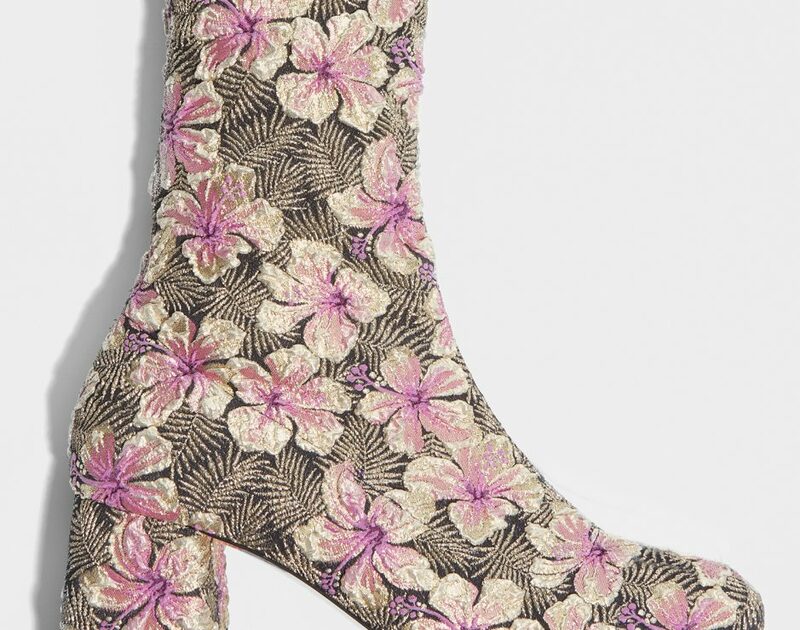 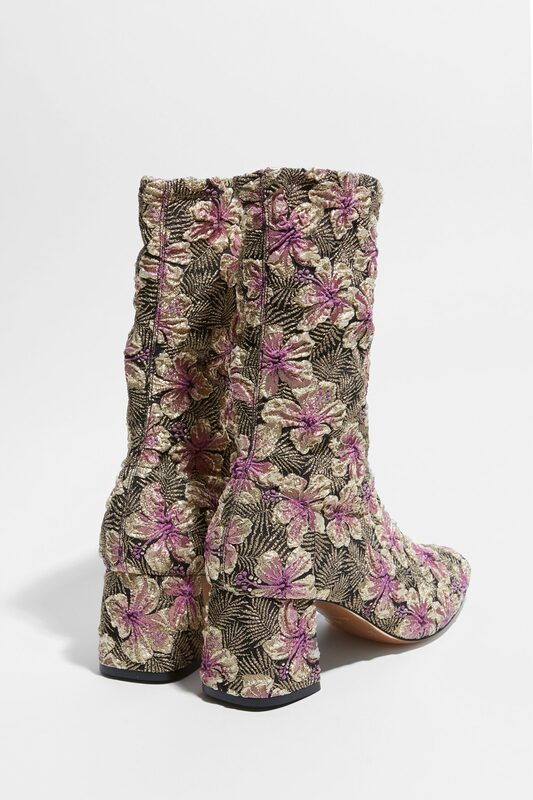 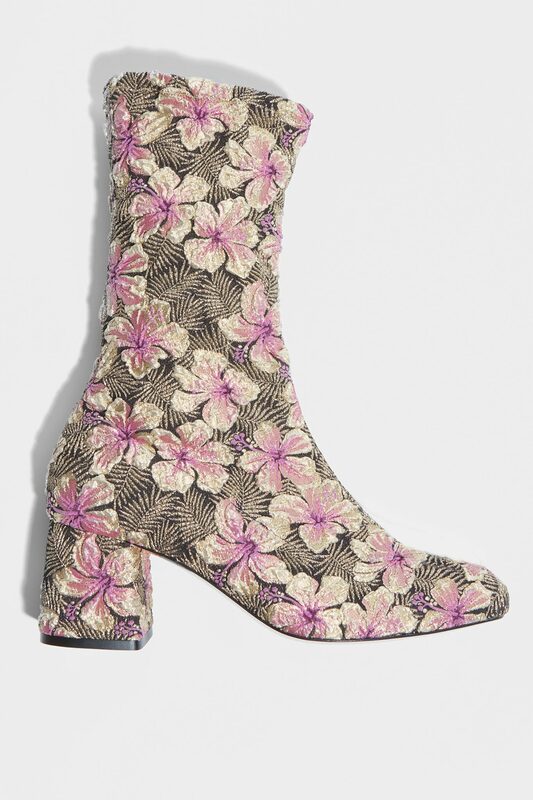 Flowers tapestry fabric stretch boots. 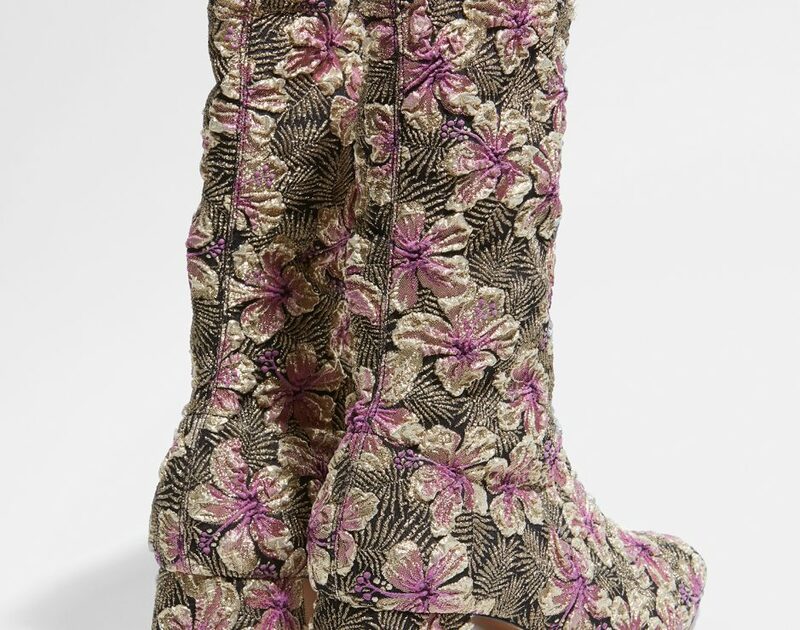 Flowers tapestry fabric stretch boots to wear as a sock. 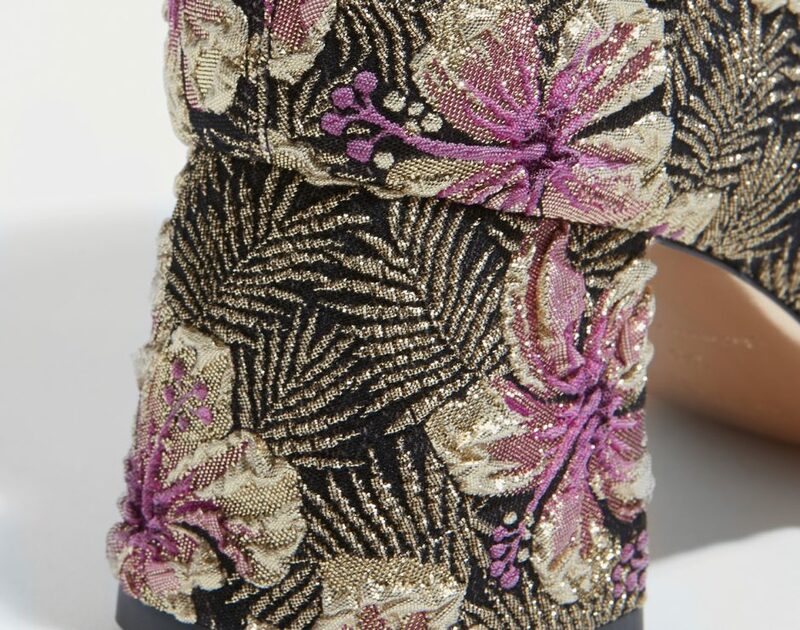 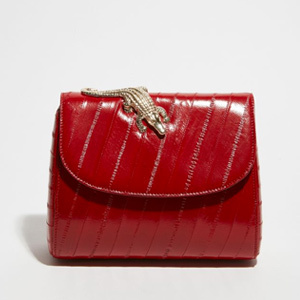 Comfortable 2.5in covered heel. 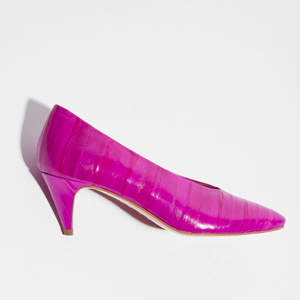 Footwear purple leather lining and iridescent "gold" cow leather sole.